Stocks or Properties: Where Do I Put My Money? Bob joins the work force straight after graduating from college because he is in debt. Having no experience, he is having hard time finding a decent job. Finally, he settles for a low paying job and earns a modest salary of $ 2000 per month. He does not buy a car but he chooses to stay near where he works. He saves more than 50% of his income each month after all expenses. Assuming that the situation does not change for next 40 years, how much will be Bob’s saving when he retires? 2000 x 50% x 12 x 40 = $ 480 000 which is less than half a million after working for whole his life. The above is just a fictive character. I made up the story because I was triggered by an interesting multiple choice question which is found on the left hand side of this paragraph. I think it describes the situation of many young generation in this country (or maybe other country but the idea is the same: most people struggle financially). Given such situation, how could average Bob free himself from such poor financial situation? Could Bob create a miracle using his limited resources/income? How to have a better financial future? Let us examine some of the possibilities. The most direct way to increase income is by finding a higher paying job. Bob need to work hard and grow himself so that he can land a better job. This requires Bob to work harder. This is common sense. Another way is to let his money work harder through investing. Bob and his money can work at the same time parallelly in order to change his poor financial destiny. Given that there are so many investment products available, which one to choose? Well, which asset classes (fixed income or bonds, money market, stocks or equities, real estate or tangible assets) could generate the highest return with least effort is what I want to study today. Note: Please provide comment if I missed out any investment products in above list. These are the common investment options that most people will consider when they have excessive money for investing. Investment products 1 to 4 are the safest (protected by government) with guaranteed returns but they rarely exceed 6% per year. Fixed deposit has 3% to 4% return, bonds have around 6% for ASM (Amanah Saham Malaysia), retirement fund has 6% for EPF (Employee Provident Fund). These products have one thing in common: they require absolutely no effort from investors. Therefore, they are the investments with the minimal required effort. If Bob were to invest $ 10 000 of his saving to bonds or fixed income which have 6% annual return since he started working, after 40 years, he would have an additional $ 92 857 on top of his saving of $ 480 000. An additional $ 90k after 40 years do not seem a lot. Do we have better investment products with higher returns? Please read on. Investment product no. 5 which is mutual fund has a return rate of around 8% to 12%. From one case study of Public Mutual Fund, the return rate is around 9%. Investing in mutual fund is similar to investing in stock markets but it requires little effort from investors since there will be an agent to manage and monitor the performance of the fund. However, there is a high cost investing in mutual fund of around 5% per deposit/transaction to pay for the management fee. If Bob were to invest $ 10 000 of his saving to mutual fund which has 9% annual return since he started working, after 40 years, he would have an additional $ 304 094 on top of his saving of $ 480 000. The number starts to look interesting and it seems like there are 2 Bobs working at the same time. Now consider the investment product no. 6 which is stocks. Stocks generally have higher return than mutual fund but investors need to do at least certain degree of homework by themselves either by self-studying and reading or get some mentors to guide them at the beginning. The average expected return from stocks is around 10% and above. From one case study on Malaysian blue chip stocks, the average return is about 12% annually. If Bob were to invest $ 10 000 of his saving to blue chip stocks which have 12% annual return since he started working, after 40 years, he would have an additional $ 920 509 on top of his saving of $ 480 000. For the first time, Bob’s net worth could exceed a million dollar mark. Please note that a 12% annual return from stocks is an understatement since it didn’t consider the dividend incomes, the bonus issues, etc… yet in the calculation. Also blue chip stocks normally have slower growth which translate to lower return. There is more potential for stocks investment. More on that later. A close relative to stocks, the investment product no. 7 is the derivatives of financial markets. It requires tremendous amount of expertise and effort from the traders/investors as it is relatively short term, therefore it is more like gambling. Some of the instruments like options and warrants will expire valueless. The return has high variability and the whole process is highly risky. The trading does not involve the actual physical products and no value is created during the process. Therefore, considering the high level of activity required, this investment product is not recommended for average Bob. He will end up better in a regular day job. If Bob were to invest $ 10 000 of his saving to derivatives which have unpredictable return since he started working, after 40 years, he would either become millionaire or broke or end up with his $ 470 000 saving due to high unpredictability of return on derivative trading. 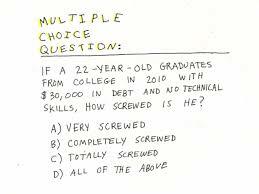 Most probably he would end up where he started since it is a zero-sum game. It is actually a less than zero-sum game if considering the fees included. Consider the amount of effort required to make this investment works, it is not a wise choice. Similarly, the investment product no. 8 which is the commodities does not generate additional value when invested in it. Investors only make money by selling it at a higher price, therefore, it is highly speculative. The greater fool theory is involved. The last person holding the ticket during crisis is the loser. Investment product no. 9 which is real estate has created quite a few millionaires. That’s what we learn and often hear from others in every day life. Seems like real estate is the way to go to make tremendous money. After all, everyone need a house to stay. Is it true? Let examine some cases. There are two strategies when investing in real estate. The first is to buy rental properties to collect rent as passive income and the second is to buy properties to flip (short term buy and sell at higher price). Both strategies require knowledge of the laws and taxes. Let call the first strategy passive strategy and the second as active strategy (which is also quite similar to speculative strategy where the price determines when to sell). The return rate is different for each strategy. Buying rental properties normally generate around 6% in rental yield. You get higher yields if you find better deals. Assuming you purchase a property for RM650,000 inclusive of legal and other related costs, receive rental income of RM3,800 per month, and in turn, incur total expenses of RM5,400 per year to maintain the property. Assuming you take an interest-only loan of RM500,000 to finance the property purchase, and the financier levies an interest cost of 6% per annum fixed for the entire financing tenor. The loan will be repaid on maturity of the financing facility or when the property is sold if it’s earlier. The annual interest cost is RM30,000. Net Leveraged Rental Yield takes into account your property financing in calculating the rental yield. In this scenario, your capital cost is the difference of purchase price and your borrowing (ie, RM650,000 – RM500,000). Capital gain, on the other hand, is a one-time gain (or loss) when you sell your property. It is calculated by subtracting your original purchase price from the selling price. Following the same example above, if you were to sell the property 5 years later for RM850,000, the capital gain would be: RM850,000 – RM650,000 = RM200,000 one-time gain, or (RM850,000 – RM650,000)/RM650,000 x 100 = 30.77% over the original purchase price. Taking in to account the leverage (borrowing) effect, the Leveraged Capital Gain would be (RM850,000 – RM650,000)/RM150,000 x 100 = 133.33% over the initial capital. * Total Return comprises net rental income and capital gain over the five year investment horizon; computed using the internal rate of return formula. The table above summarizes the return for both passive (rental yield) and active (capital gain) strategies without and with leverage. As we can see, the passive strategy generates a return rate (6.18% or 6.80%) that is comparable to fixed income or bonds that we described earlier. Considering the risk and effort required, it is a better choice to invest in investment products no. 1 to 5 (fixed deposit, endowment plan, bonds, retirement funds, mutual fund) in this case. Keep in mind that for investment product no. 6 (stocks), we have REITs (Real Estate Investment Trust) that produce roughly the same return rate. The active strategy which requires more work creates higher returns (11.11% w/o leverage and 23.52% with leverage). A annual return rate of 23.52% is comparable to the return rate of world legendary investor Warren Buffett. 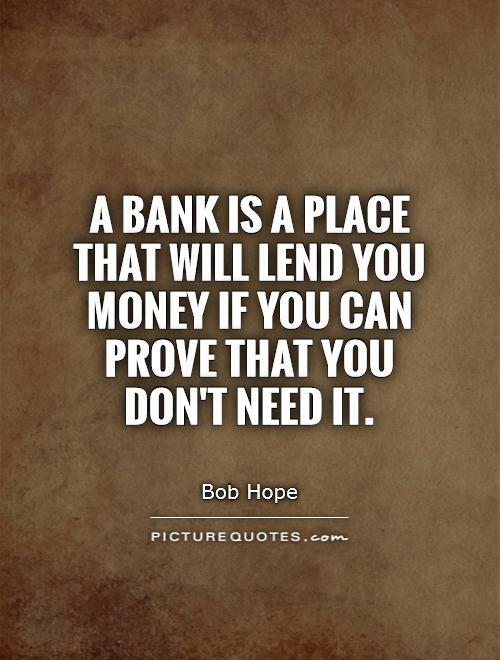 If Bob were to invest $ 10 000 of his saving to real estate with leverage (only if the bank is willing to lend money to Bob) which has 23% annual return since he started working, after 40 years, he would have an additional $ 39 Million on top of his saving of $ 480 000. Bob could retire as a multimillionaire! Note: It is highly unlikely that Bob could keep flipping houses and making profit during the 40 years without getting burned once. The above example is only to show the ideal scenario of investing in real estate. The last investment product is to own a business. This is by far the most challenging investment and it might require full time involvement of the investors. Start a business is never an easy task and most entrepreneurs fail 9 out of 10 times. However, the potential return is also the greatest with no upper bound. Look at the businesses owned by the world richest men and women, are we able to quantify their rate of return from initial investment? At least I can’t. Whether the business is a small lemonade stand, grocery store, restaurant, small company, etc… the entrepreneur need to constantly solve problems as they arise. The amount of effort required for a successful business is enormous. Only supermen or superwomen are entrepreneurs. I have high respect for them. According to statistics, only about 1% of the population are entrepreneurs, they are the rare breed. If Bob were to invest $ 10 000 of his saving to starting a business which have unpredictable return since he started working, after 40 years, he would either become millionaire or broke or continue working after retirement. Note: the above table is created based on author’s opinion. Investment products 6 to 10 normally involve leverage (borrowing money). Which explains their superior returns over investment products 1 to 5. Whenever leverage in money is involved, there will be risk for bankruptcy. Another observation is that it seems like the higher the risk of an investment product, the more actions (effort) are need from an investor. Or is it more risk due to more actions? Normally, excessive actions do not necessarily translate to higher profit as far as I know. Both stocks and properties seem to be good choices of investment for Bob. There are actually many similarities between stock and property investments. The return from stocks can match or even exceed the return from properties if margin is used. Moreover, buying stocks is more scalable and more liquid than buying properties. Also properties need maintenance but stocks do not if you don’t want to. Therefore, stocks are definitely the right choice for Bob if he want to do the minimum to get the maximum return. The key to gaining uncommon profit from the market is by searching for inefficiencies in the markets and by exploiting them by buying overly undervalued cheap stocks or real estates. Inefficiency happens because the info doesn’t circulate well and not enough people is involved. Once more people spot the inefficiency, it is gone. Therefore, become a contrarian has an advantage. You look for places where others don’t. There are more inefficiencies in the housing markets than in stocks since the later are tracked in exchange system. Everyone has the same info on stocks but not on properties due to limitation in geographic location. The buy and forget strategy for stocks is actually very boring. What you want to do during those remaining 40 years after you bought your stocks? I think a good solution would be to involve in real estate to kill your time. Stocks and properties can actually compliment each other. You can have the best from both worlds. Which investment product do you prefer best and why? This entry was posted in Investment, Research and tagged Finance on September 16, 2014 by Chok Leong.